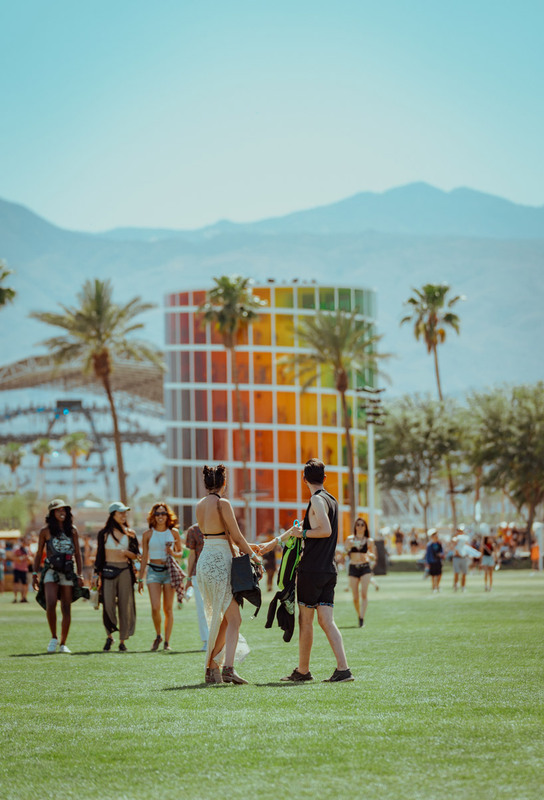 coachella music and arts festival is an annual event which takes place in california, the US, since 1999. coachella brings lots of the most popular musicians to perform during the festival and features creative and innovative installations all over the territory in indio city. 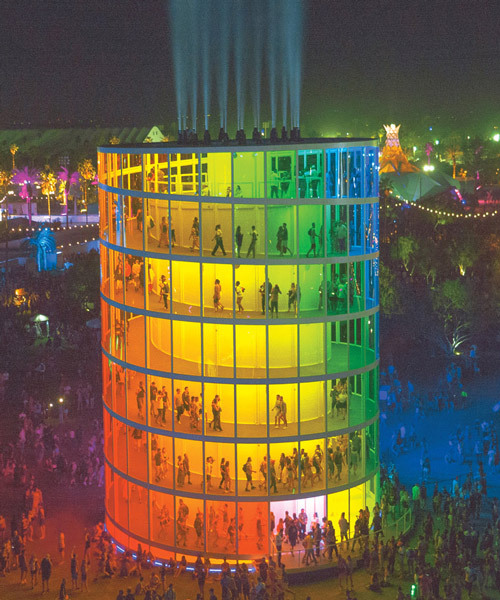 NEWSUBSTANCE is a show design studio specializing in opening ceremonies, show design and spectacular performance structures. 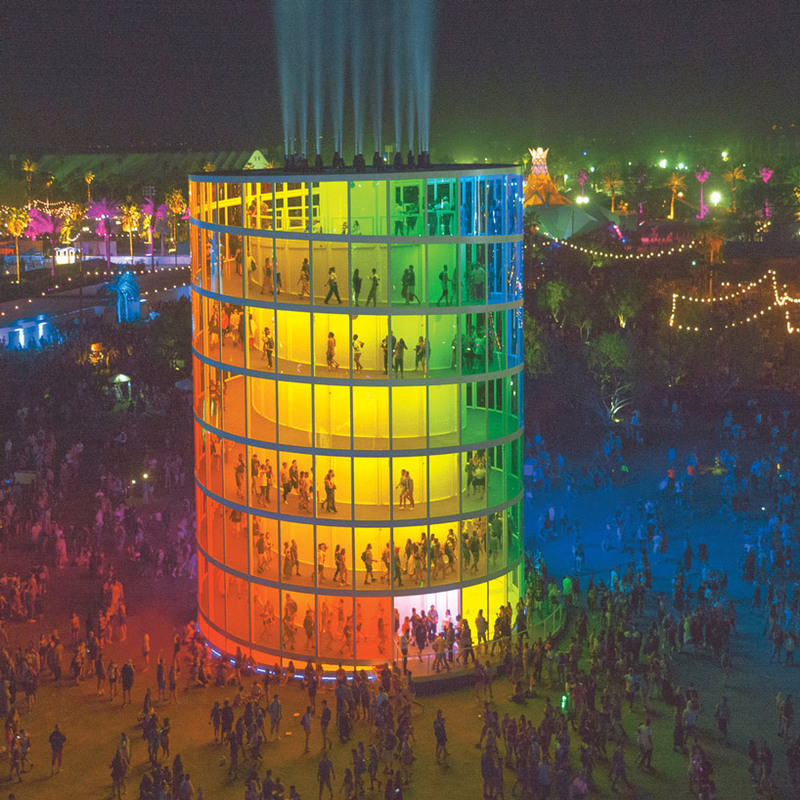 music is a balance of conflict resolution — over-stimulated concert goers sometimes get an uneven helping at music festival/temporary city, coachella. 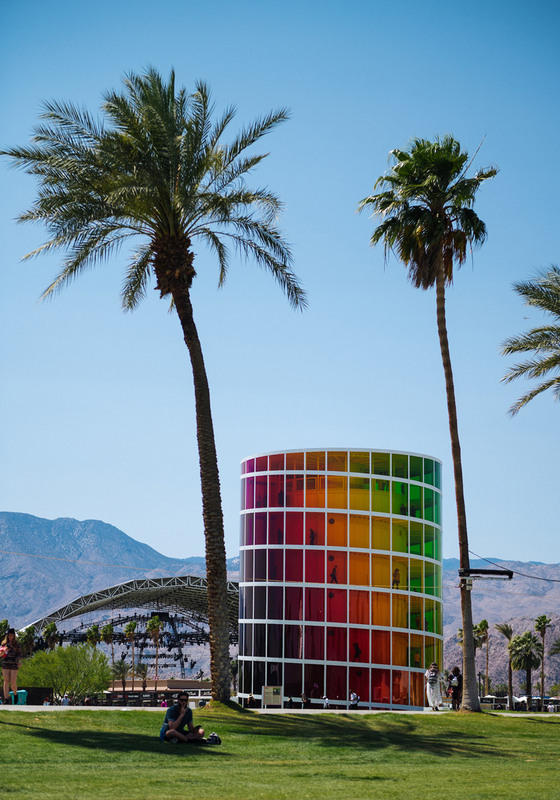 that’s why, this year, coachella’s featured artists have made it their responsibility to provide places, away from the noise, where attendees can pause and cleanse their anxieties. 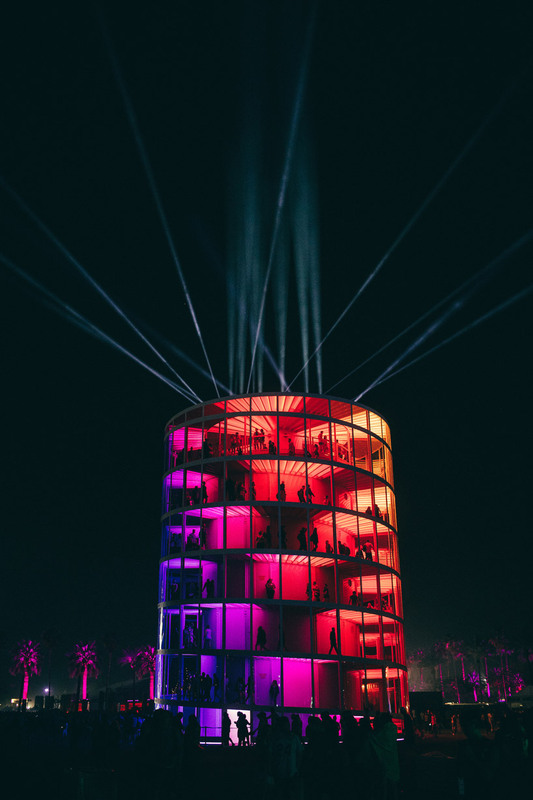 after catching the weeknd’s setlist, tired and sweaty starboys and stargirls may pray to higher powers beneath one of edoardo tresoldi’s humbling wire mesh sanctuaries, or take light strolls through this spiral staircase of color — an experience lovingly designed by NEWSUBSTANCE: spectra. 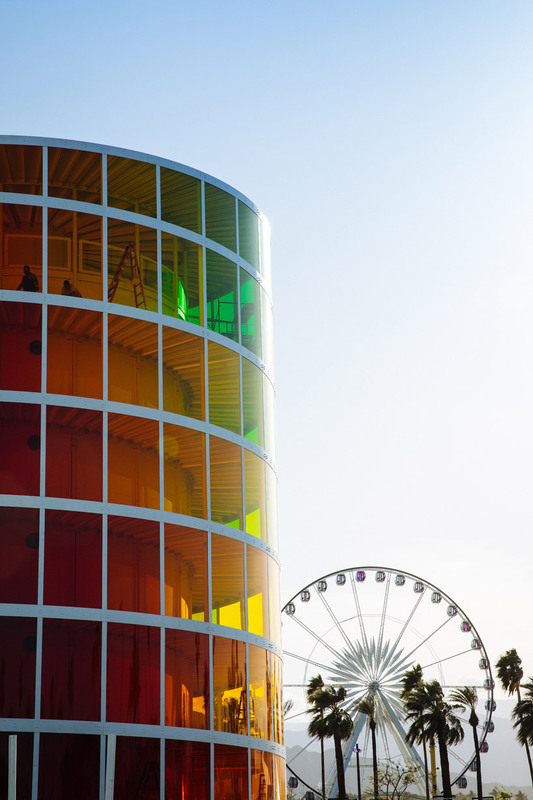 spectra is a seven-story, 360 degree observation deck. 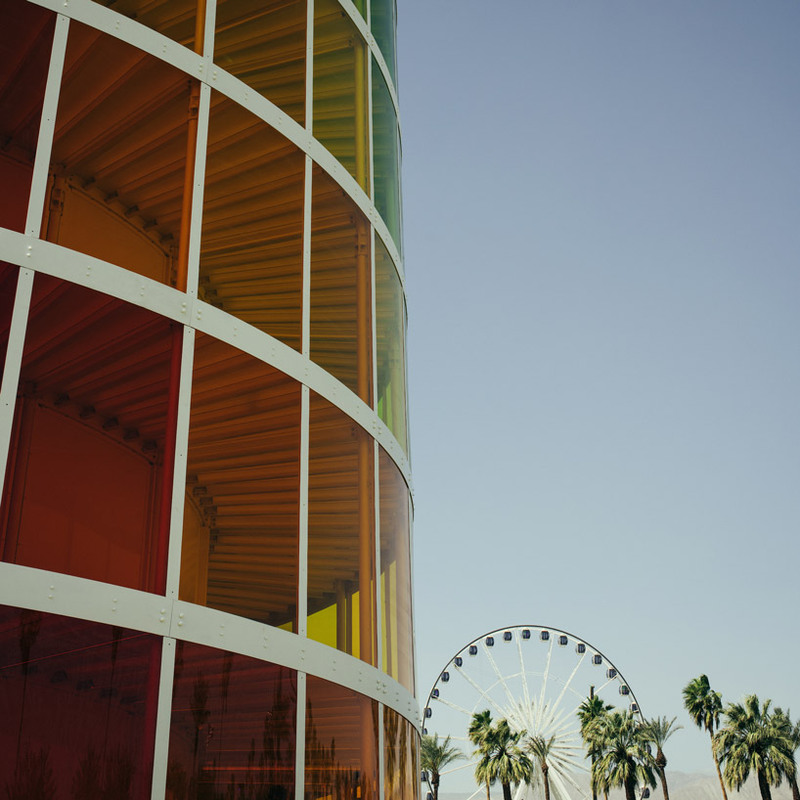 the story here is a linear one, of light, color, and peaceful change. with so much changing so quickly around these festival-goers — loud music, repeating choruses, repeating ideas — spectra may subconsciously remind stressed out music-lovers that change is good. 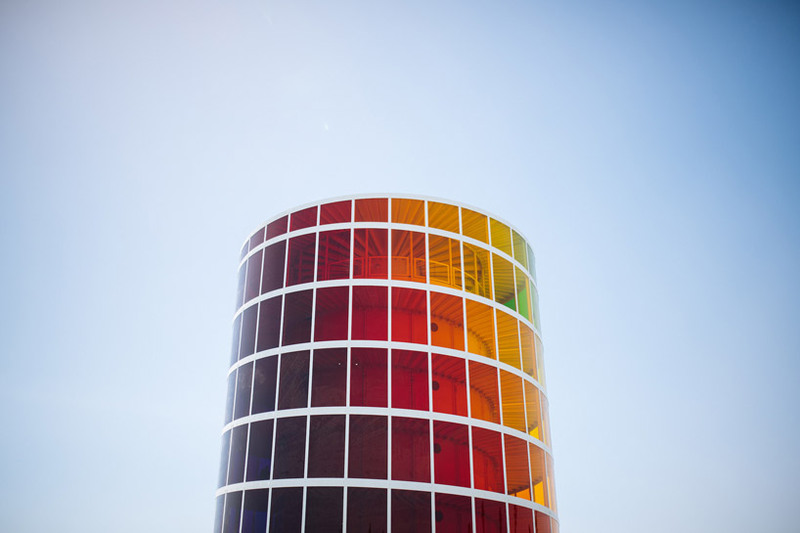 31 custom-cast colored panels transition from light tints to dark shades. each evening, 6,000 + LED lights bathe the night sky in a fizzling bath-bomb of cleansing. 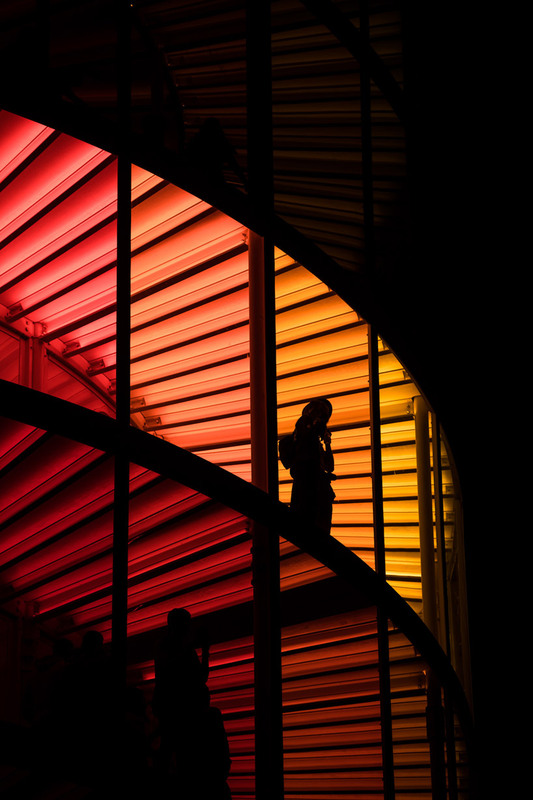 most installation-art, like music, is a balance of conflict and resolution; @NEWSUBSTANCE‘S spectra is a resolution most serene for the populous of the ephemeral city.